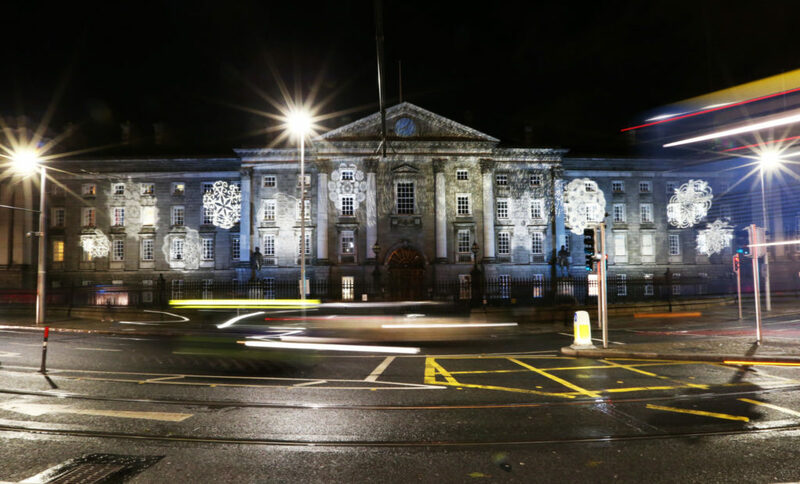 Dublin is dazzling this December, as buildings and bridges across the city are lit up for the first time in Christmas projections. 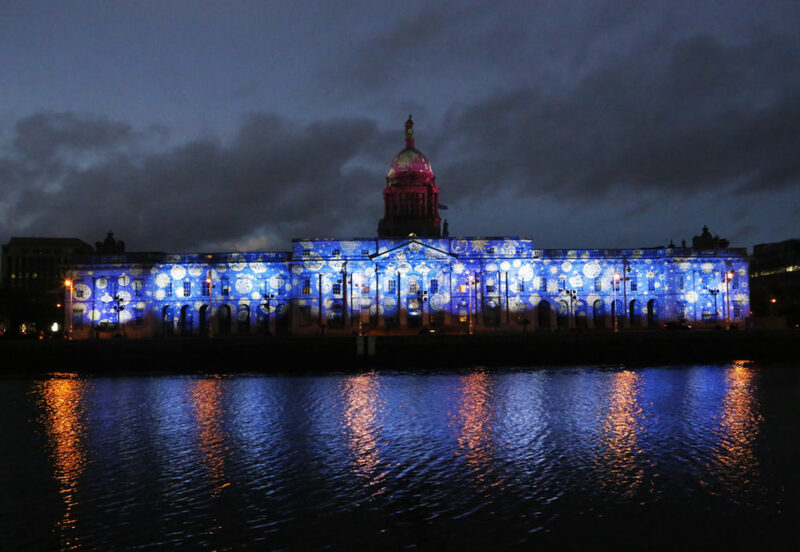 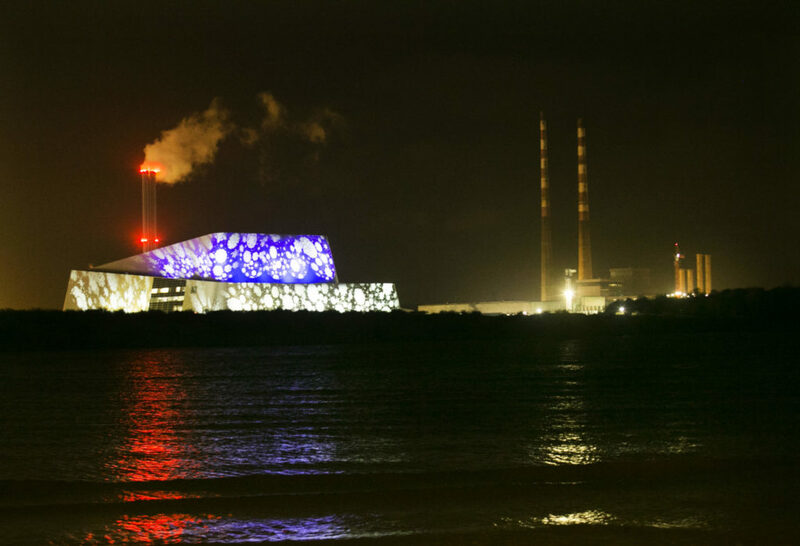 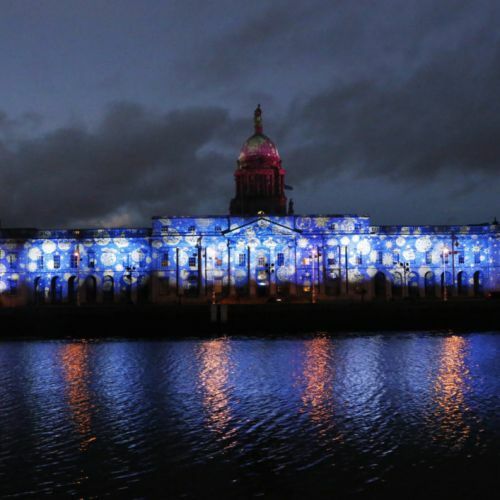 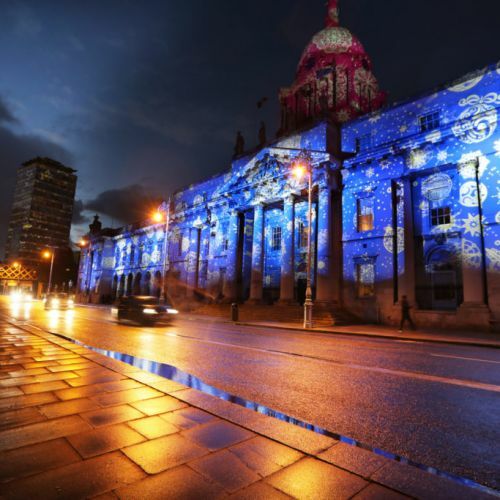 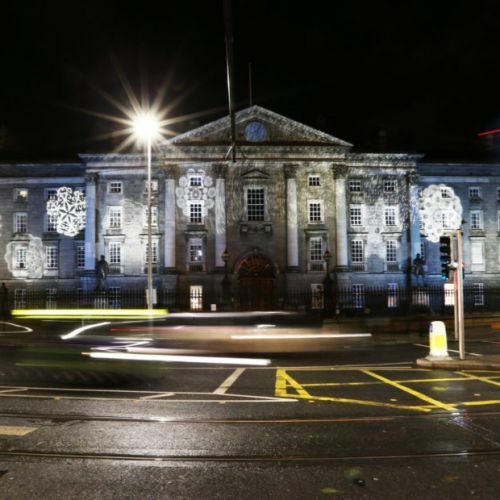 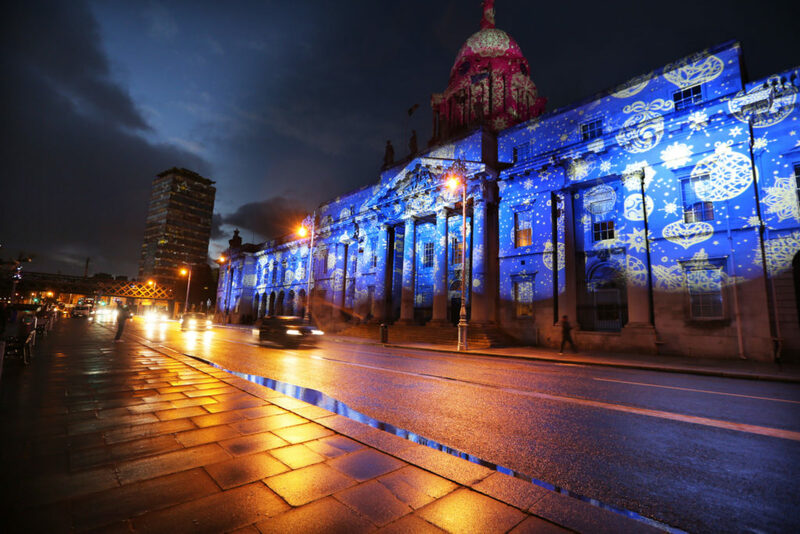 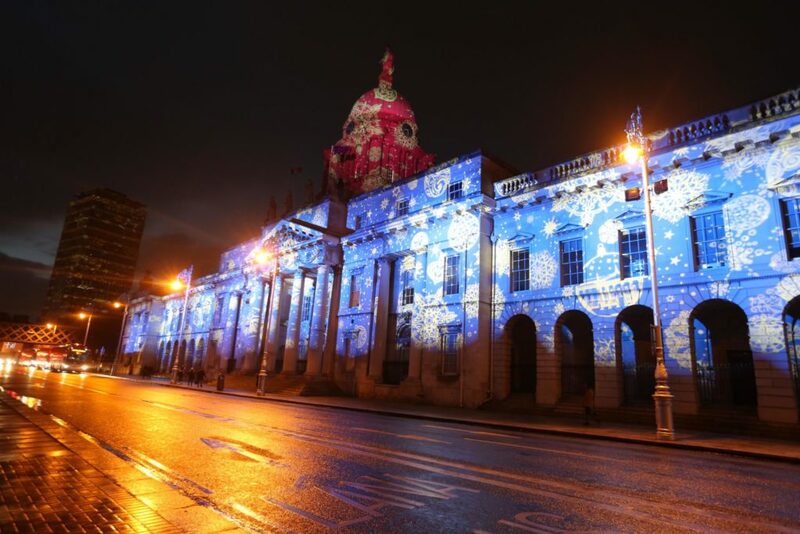 After nearly a year in the planning, ‘Winter Lights Dublin City’, is illuminating thirteen iconic sites around Dublin for 30 nights, using customised projections. 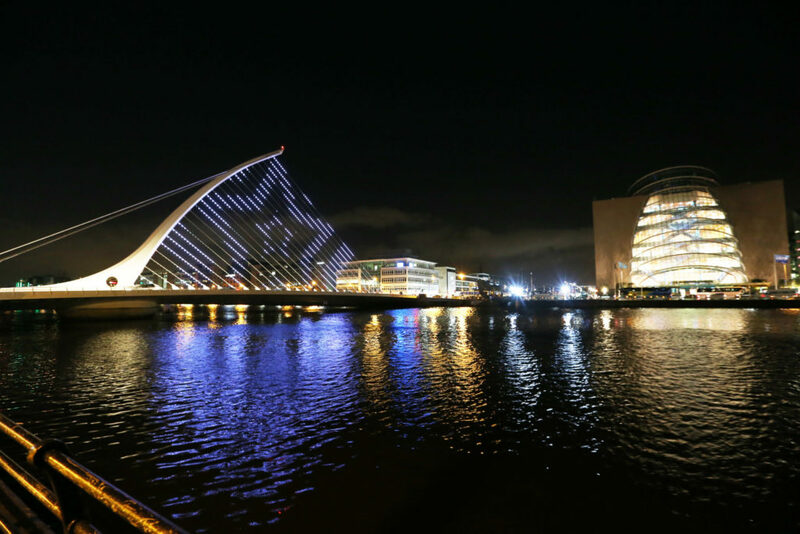 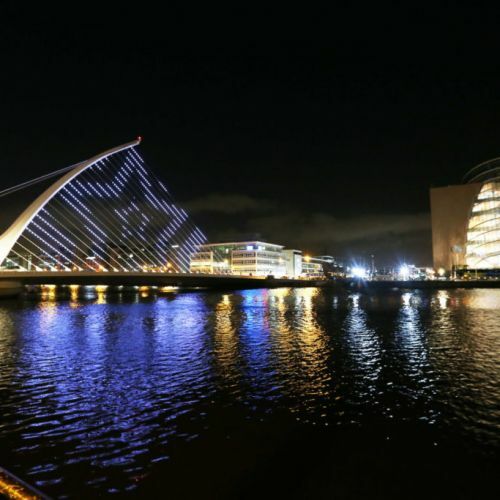 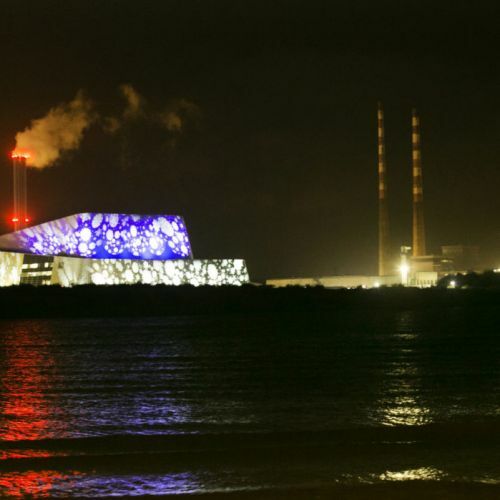 Each of the chosen buildings and bridges will be lit up between sunset and 2am each night, and includes City Hall, Trinity College, Liberty Hall and the Samuel Beckett Bridge. 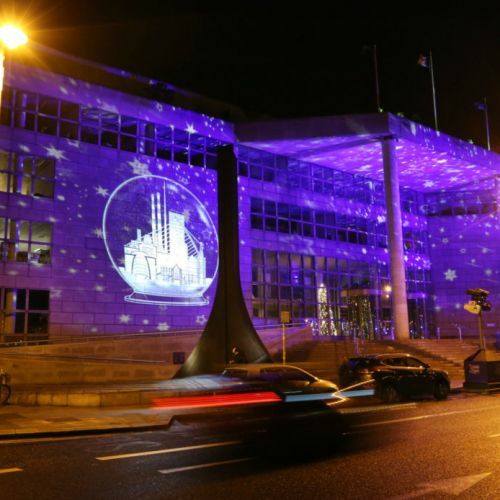 Winter Lights Dublin City is eco-friendly and the technology for some of the projections will use as little energy as a domestic iron. 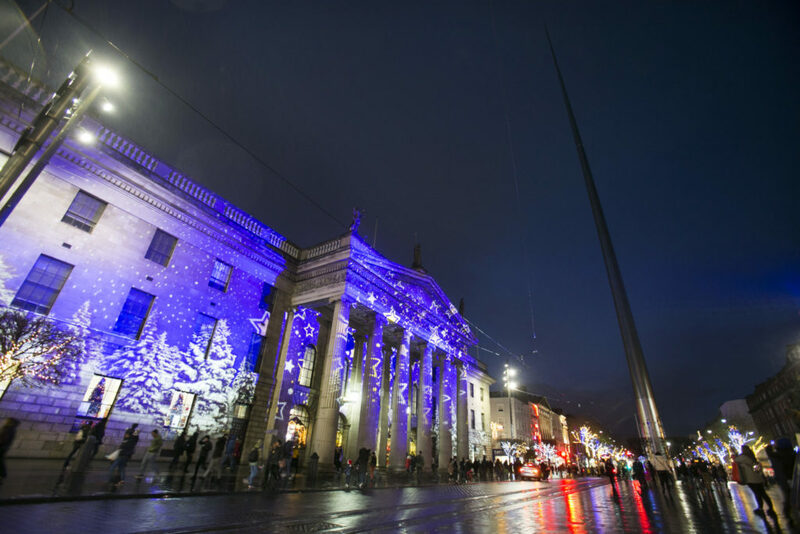 157,800 low power LEDs, 100 tonnes of equipment and 15,780 metres of cable have been employed to illuminate the city in a whole new way for 2018. 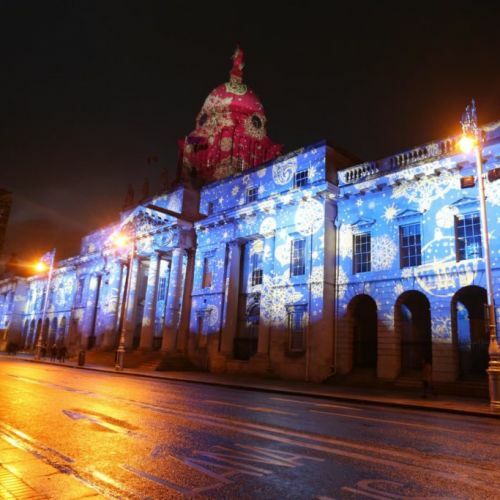 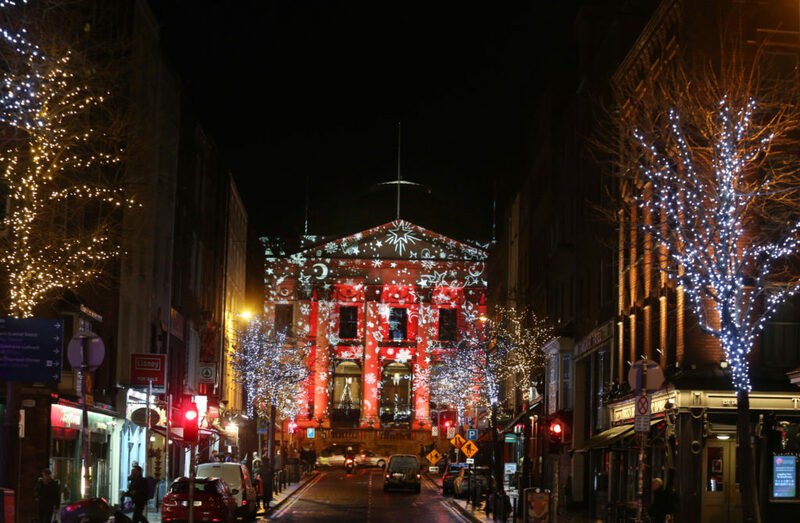 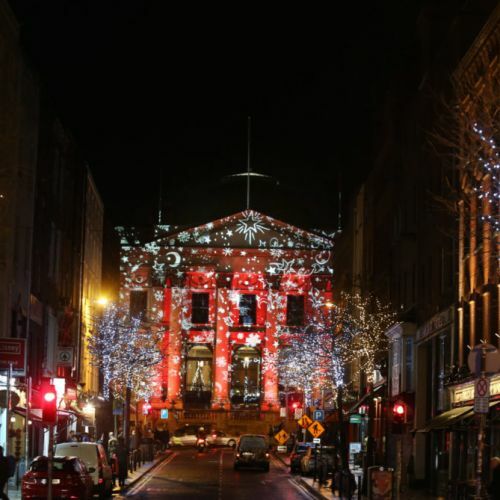 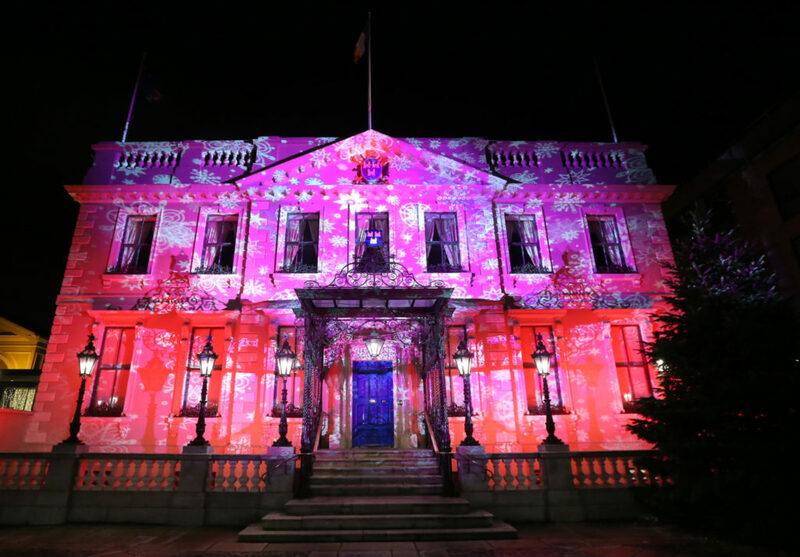 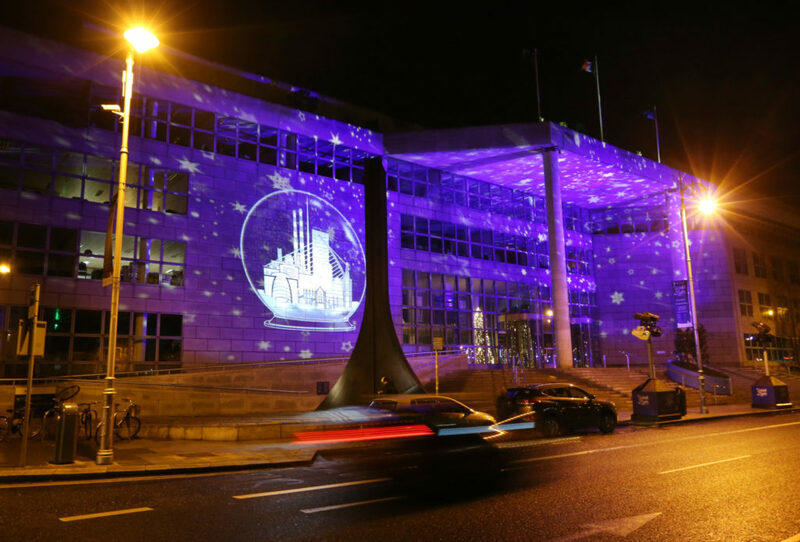 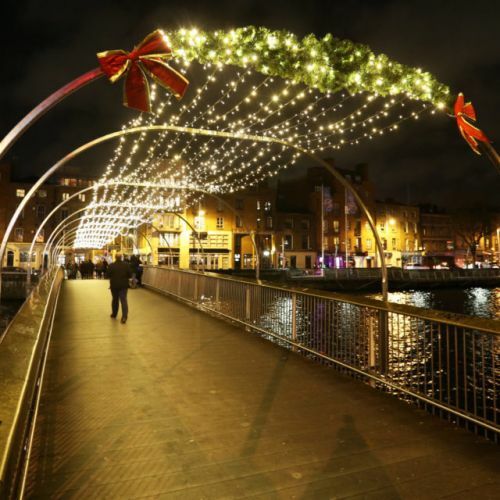 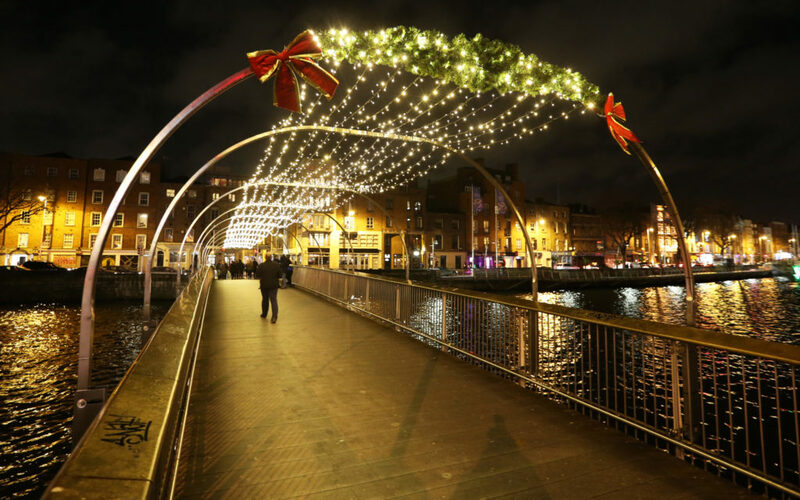 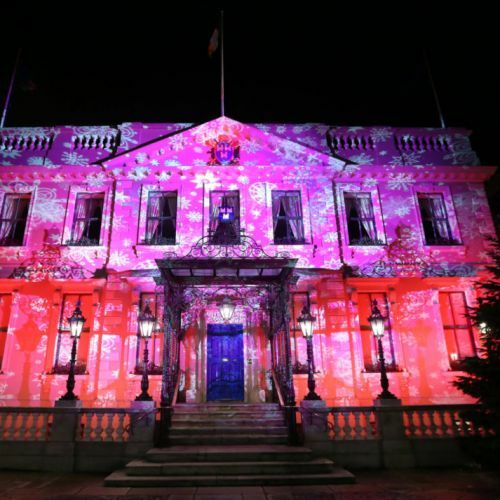 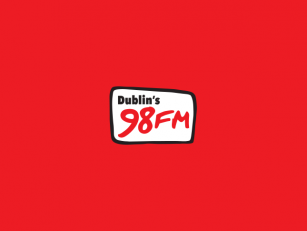 Lord Mayor of Dublin, Nial Ring said "Our team has been working as hard as Santa's elves to make the vision of Winter Lights Dublin City a reality". 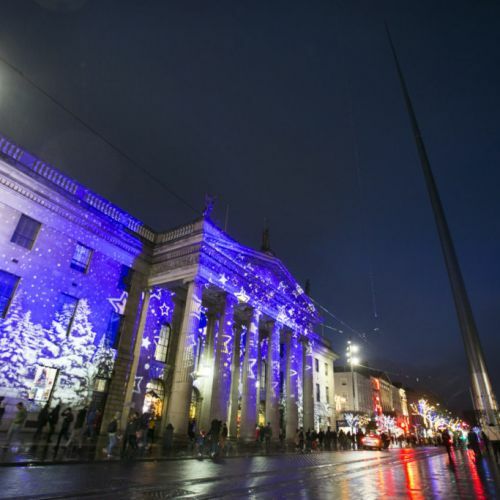 "It’s another great reason to visit Dublin city this Christmas and view this exciting new seasonal experience that we hope will become a festive tradition", he said.